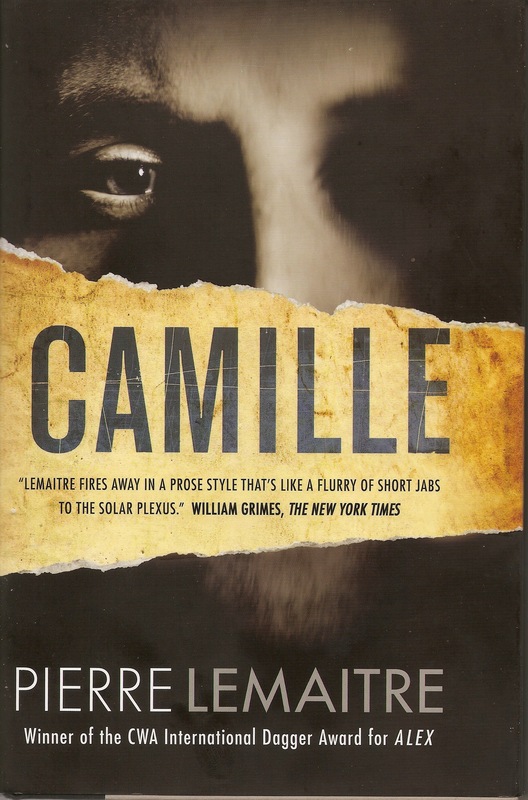 I read Pierre LeMaitre’s Camille [reviewed here], Death’s Jest-Book by Reginald Hill, The Ghost by Robert Harris, and only just started the Petrona Award winner The Silence of the Sea by Yrsa Sigurðardóttir. Death’s Jest-Book is another big blockbuster of a novel being both a sequel to Dialogues Of The Dead, and also having several new intriguing sub-plots. 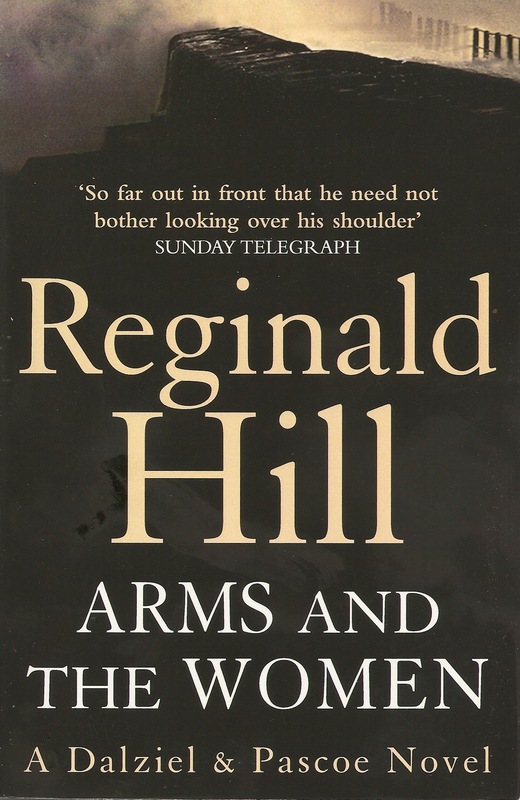 The fact that two 600 page books can be read without too much of a struggle is a tribute to one of our greatest crime writers, and the wonderfully quirky characters created by Reginald Hill. It was quite sad to say goodbye, even temporarily, to Andy Dalziel, Peter Pascoe, Ellie, Wieldy, Hat Bowler, “Ivor” Novello, Franny Roote, and their relationships and problems. 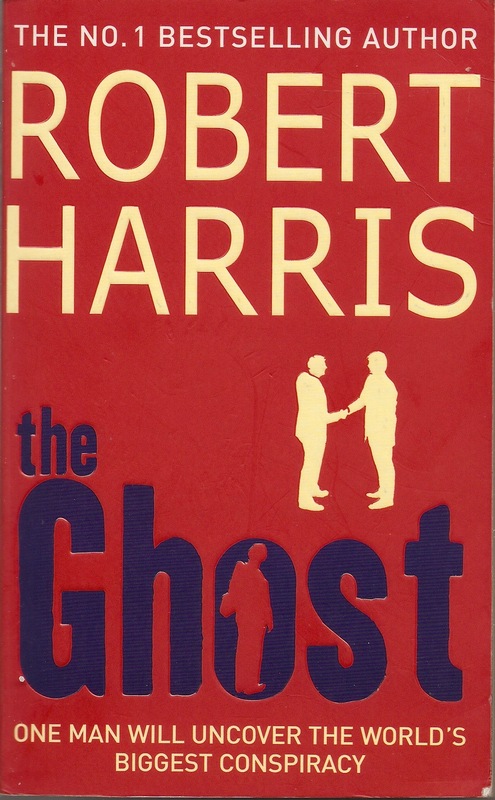 The Ghost by Robert Harris is a brilliant read, but not quite my cup of tea, I much prefer his historical fiction books Fatherland, Enigma and An Officer And A Spy, simply because modern politics seems still a bit too raw as we still face the problems discussed in The Ghost. The Ghost is roped in to rewrite the autobiography of an ex-British Prime Minister called Adam Lang, who despite the usual disclaimer that any resemblance to actual persons is entirely coincidental bears a strong likeness to a recent British politician. The real Lang was a master of illusion, won three general elections, and was surrounded by political colleagues some of whom spent more time plotting his demise than running the country. In the book the previous “ghost” writer has met an untimely end apparently falling off the ferry to Martha’s Vineyard. Our new ghost, a man who does not know anything about politics, and who is never named, discusses the manuscript he is to rewrite with Amelia, Lang’s personal assistant. ‘Honestly? I haven’t had so much fun since I read the memoirs of Leonid Brezhnez.’ She didn’t smile. ‘I don’t understand how it happened,’ I went on. Author Robert Harris fell out with New Labour, and our ex-PM, over the Iraq War, a conflict which may well go down in history as one of the greatest strategic mistakes since Cornwallis marched his army into Yorktown. But who knows……….. The weather in April was very good and that meant less reading, and more travelling around the glorious Devon countryside. Roaming around the scenic Jurassic coast at Budleigh Salterton and Seaton, and the stark beauty of Dartmoor, as well as the idiosyncratic market towns, we constantly realise how lucky we are to live in the South West of England. I should get employment with the Devon Tourist Board. 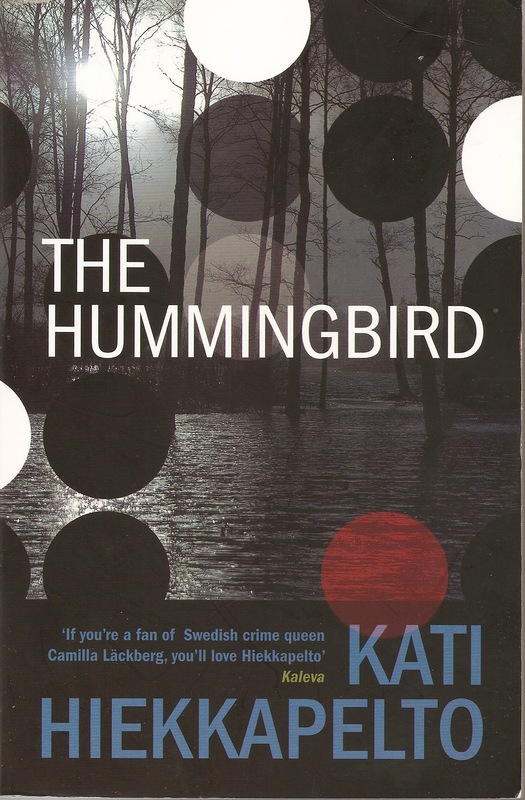 I read the two strong contenders for the Petrona Award, The Hummingbird and The Human Flies, and as light relief Dialogues Of The Dead by Reginald Hill. 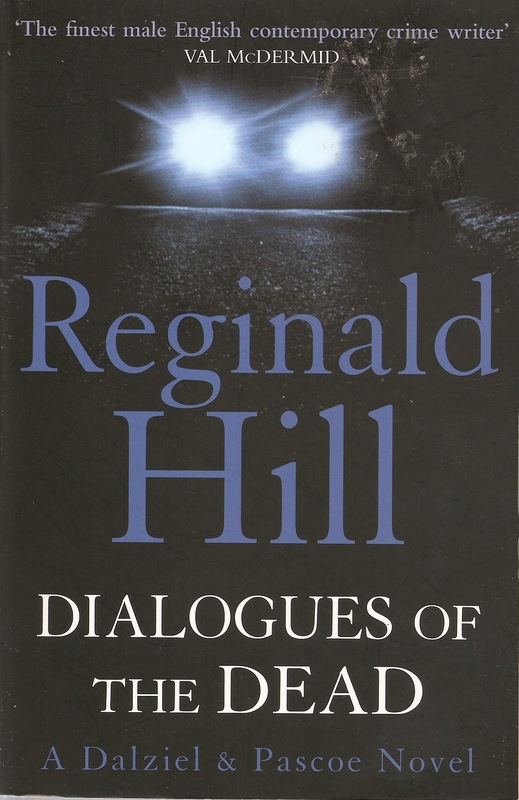 Dialogues is one of Reginald Hill’s door stop novels at over 550 pages, but it is an easy read [the print size is large enough to be read by septuagenarians, a vital matter for this reader]. There is a laugh on every page, and just when you think you have identified the murderer, he or she is bumped off. I did get it right in the end, but only after my first choice met an untimely end. Dialogues is classic Reginald Hill, erudite with a Dickensian cast of characters joining with the usual suspects of Dalziel, Pascoe, Ellie, Wieldy and playing a big part in this novel DC “Hat” Bowler. Shirley Novello is recovering from a gunshot wound which she received in the previous novel Arms And The Women, so Hat becomes a vital member of the investigative team, who are always one step behind a deranged serial killer. But of course Reginald Hill’s take on the serial killer novel is very different from most other writers. Oh yes? thought Pascoe sceptically. Previous experience had taught him that having the Fat Man in the background tended to block out the light. The news this week of the death of Ruth Rendell was very sad. Rendell’s first book From Doon With Death was published way back in 1964, and it featured one of my favourite detective teams of Reg Wexford and Mike Burden. 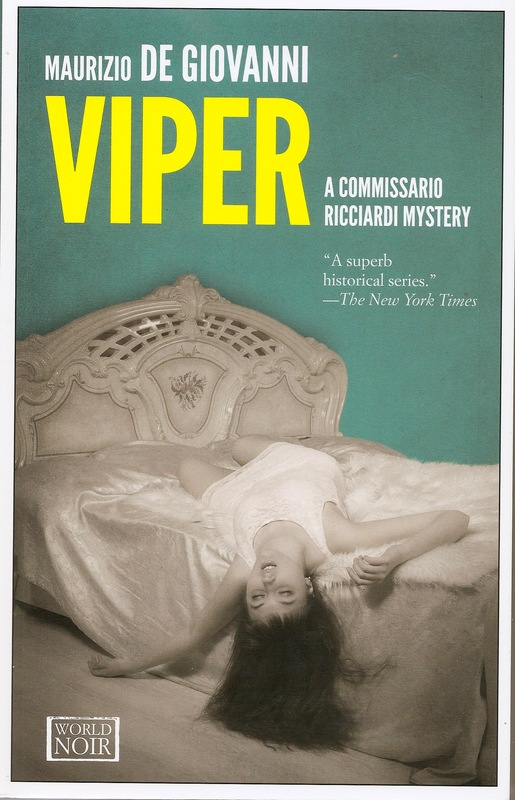 For many years I read every Wexford book that was published, and many of the psychological thrillers written under the name Barbara Vine, but unfortunately there isn’t enough time to read everything and I moved on to other authors, while still respecting the subtle plot twists and interesting characters that featured in her books. 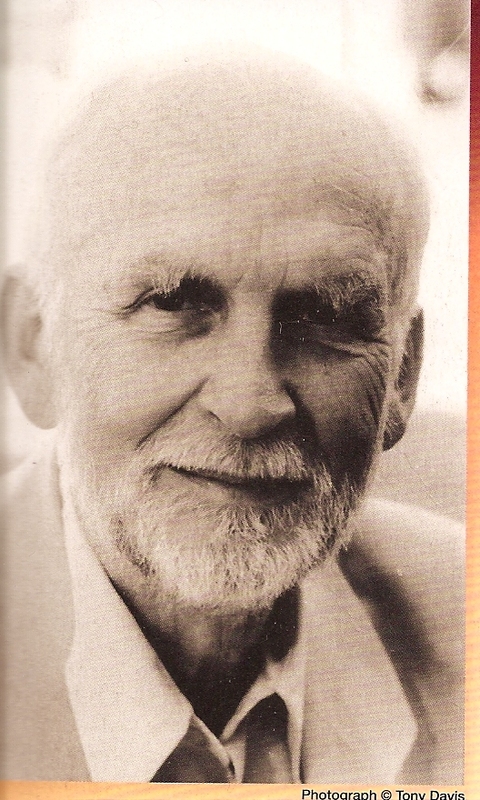 In recent years British crime fiction has lost Reginald Hill, P.D. James and now Ruth Rendell, all three were giants of the genre they will be greatly missed. I had read several of Reginald Hill’s Dalziel and Pascoe books before the TV series began in 1996, and when Warren Clarke appeared for the first time on the screen he was exactly how I had envisioned the character of Andy Dalziel from the books. It is with great sadness that I learned today that Warren Clarke had died at the age of 67. He was a fine actor and played many parts during his long career but he will always be remembered for his portrayal of the gruff Yorkshire detective. My condolences to his family, he will be greatly missed. Whenever I read a smart punchline in the Reginald Hill books I always imagined them coming from Warren Clarke. 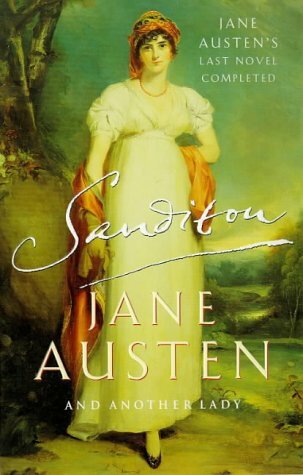 I finished reading A Cure For All Diseases, Reginald Hill’s superb completion of Jane Austen’s unfinished novel Sandition a few days ago. Following on from The Death Of Dalziel I have read 1210 pages of Reginald Hill’s writing and am not bored by his creations, Andy Dalziel and Peter Pascoe. This novel is a quirky pastiche of Sanditon in which the novel is both finished and updated, in a fairly respectful but very modern manner; if respect is possible with Fat Andy featuring prominently in the action. Andy Dalziel is recuperating in Sandytown after getting in the way of a bomb in the previous novel in the series. When Tom Parker, his wife Mary and their children Minnie, Paul, Lucy and Lewis are looking for Willingdene and end up driving their hybrid 4×4 into Stompy Heywood’s tank trap in Willingden they become house guests of the Heywoods. Stompy, an old rugby playing mate of Andy Dalziel’s, is affectionately known as HB, Head Banger from his frequent refrain that he “might as well bang my head against a brick wall”. Lady Daphne Denham, formerly Daphne Brereton, whose two ex-husbands are now dead; she obtained wealth from her first husband Howard “Hog” Hollis and a title from her second Sir Henry Denham. She is involved in business dealings with Tom Parker, a follower of alternative medicine, and is pursuing romantically Dr Lester Feldenhammer, who runs the Avalon Foundation. Lady Denham, lives with a distant cousin and companion, young beautiful Clara Brereton at Sandytown Hall, while Denham Park is occupied by her young niece and nephew by marriage Sir Edward Denham and Esther Denham. Then there is Tom Parker’s younger brother Sidney, a city financier, Gordon Godley, a healer, Miss Lee an acupuncturist, Nurse Sheldon, Harold “Hen” Hollis, Ollie Hollis, Alan Hollis, landlord of the Hope and Anchor, Tom Parker’s sister Diana, an “invalid”, her friend Mrs Sandy Griffith and Franny Roote. Enough….enough, that is enough suspects for any crime fiction novel. Peter Pascoe will arrive after the first murder along with DS Edgar Wield, and DCs “Hat” Bowler, Shirley Novello and Dennis Seymour to investigate, only to find Andy recovering his strength in more ways than one. A great part of the charm of this novel is the jocular way it imitates the style of the epistolary novel, but of course updated to the twenty first century. Charley instead of writing letters e-mails her observations to her sister Cassie in Africa, while Andy is given a digital recording device to dictate his innermost thoughts as an aid to his recovery. He names the device “Mildred”. Therefore most of the novel can be classified as a dialogic epistolary novel. 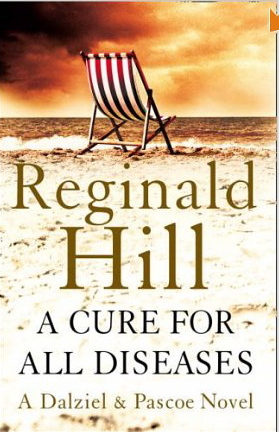 A Cure For All Diseases is a superb light hearted read that does not take itself too seriously. Dalziel let out a sighing groan, or a groaning sigh, the kind of sound that might well up from the tone-deaf man who has just realized the second act of Gotterdammerung is not the last. When I want to read for pure enjoyment with no thought that I should be reading this or that to keep up with what is occurring in the world of translated crime fiction, I turn to Reginald Hill’s Dalziel and Pascoe long running series. 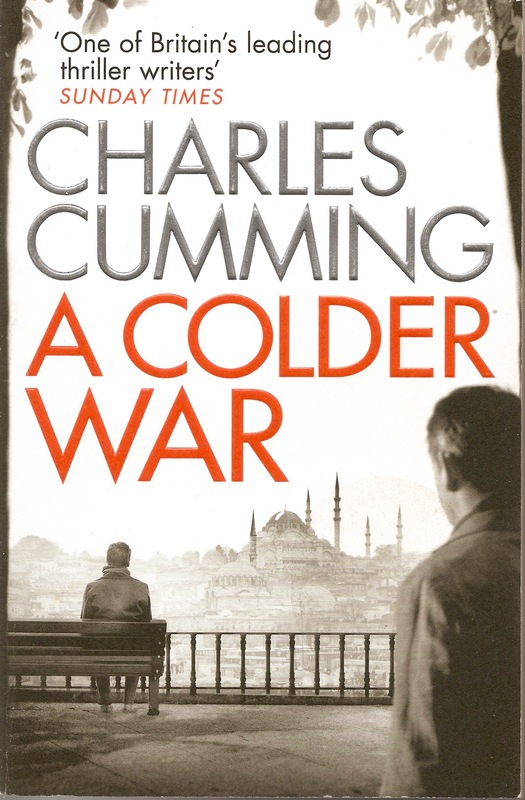 I suspect I am addicted to these books and in making a brief appraisal of the series I might butcher some Tolstoy: “All dull books are alike; each Dalziel and Pascoe is interesting in its own way”. I thought of Tolstoy because a lot of the Dalziel and Pascoe books are of of epic length. Luckily the Harper paperback versions have a large font or else the almost 600 page length of many would be off-putting. Deadheads 1983, Underworld 1988, Bones and Silence 1990, Recalled to Life 1992, Pictures of Perfection 1994, The Wood Beyond 1995, On Beulah Height 1998, The Death of Dalziel 2007, Midnight Fugue 2009 and have just begun A Cure for All Diseases 2008 [the opening chapters of which are extremely funny]. I regret not reading the books in order, but I may well go back and fill in the gaps. The Death of Dalziel [Death Comes For The Fat Man in the USA] weighing in at 598 pages was published in 2007 the year of the terrorist bombings in London. When Police Constable Hector, not the brightest copper in Mid -Yorkshire Constabulary’s employment spots a man with a gun in a video rental shop in Mill Street that stocks Asian and Arab stuff, Dalziel and Pascoe get called in. The property has been flagged by CAT [Combined Anti-Terrorism] but Dalziel’s lack of confidence in Hector’s ability to tell the difference between a gun and a lamb kebab mean he and Pascoe get caught in the blast when the shop blows up. Pascoe is protected behind the fat man’s vast bulk, but Andy Dalziel is severely injured and spends the majority of the book in a coma. Pascoe is determined to track down the perpetrators of this outrage and other connected attacks carried out by vigilantes. The reader is given more information than the police concerning the reasons for attacks committed against those who preach, or are perceived to preach violent jihad. Some of the questions concerning treatment of our troops in Iraq, revenge, hatred, personal loss, and fear of the other are cleverly raised with great care in this tense story. The Death of Dalziel was a very enjoyable and thought provoking read, with the serious subject matter pleasantly distracted by the wise words of St Andy. Bump into your best mate coming out of the Black Bull, that’s coincidence. Bump into him coming out of your wife’s bedroom, that’ s co-respondence. Crime Scraps was started in September 2006, and I don’t know what is the average life of a blog, but I think it is well into adulthood by now. My original plan was to have a record of the books I had read, and to bring to the attention of any readers two series of detective books. The first was the ten book Martin Beck series Story of a Crime by Maj Sjowall and Per Wahloo, of which I had read about six during the 1970s and 1980s, and I had searched second hand book shops for the remaining books with little success. 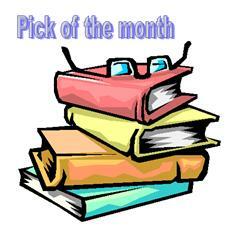 The second was the Salvo Montalbano series by Andrea Camilleri which I had recently discovered. I remember three years later charging into a WH Smith in the company of a distinguished translator of Scandinavian crime fiction, and finding only one of his books on display at the back. But within a few months Scandinavian crime fiction was all over the shelves in every type of retail outlet that sold books. And now we have had various Wallanders, Sarah Lund, and numerous other Nordic shows on TV, as well as Montalbano and Young Montalbano representing Italian crime fiction and Spiral from France with its distinctive Gallic approach. I therefore decided to go back and spend a few weeks reading some of the crime writers who had me hooked years ago, and have read thirteen books since my holiday reading roundup. So what did I learn from reading and re-reading these books. Well some authors were not as good as I remembered and others made a fresh impression that encouraged me to read more of their output. Some of the writers produced such worthy messages that it made up for their over convoluted repetitive plots. 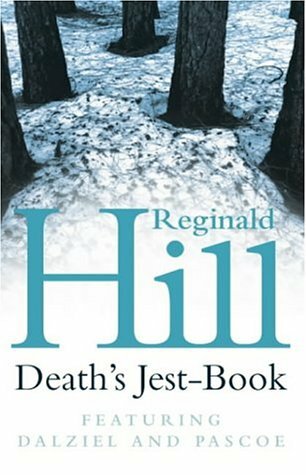 But above all I came to the conclusion Reginald Hill was an outstanding crime writer coming up with new fresh ways to write interesting crime novels. I particularly liked his Dickensian Recalled to Life, his very clever Austen like Pictures of Perfection, and one that I had read a while ago Midnight Fugue, a parody/pastiche of the TV series 24 Hours. Andrew Taylor’s The Scent of Death was well written, with a very atmospheric setting in 1777 Revolutionary New York, and a good read, but was it any better, and did it have as strong a moral message as the other contenders for the Ellis Peters Award. This was the third time Andrew Taylor has won this award and I sometimes think that winning the award is a major factor in repeat wins. I am not singling out Andrew Taylor for any criticism, because there are transatlantic authors who regularly win awards every year, and when I have read a sample of their work I have found it far less worthy than The Scent of Death. Even a great Fred Vargas fan such as I still cannot understand the thinking behind her win in 2009 over a strong field which contained books by Johan Theorin, Arnaldur Indridason, Stieg Larsson, Jo Nesbo and Karin Alvtegen. I have some new translated crime fiction to read and hopefully will be able to produce some full reviews, but I will end my catch up with a quote from Reginald Hill’s Recalled to Life, which begins with a murder in that watershed year of 1963, when an American president was assassinated, a British government fell, and a young innocent went off to university. I read six more crime fiction books during a cold miserable February and they varied between historical thrillers and psychological mysteries. 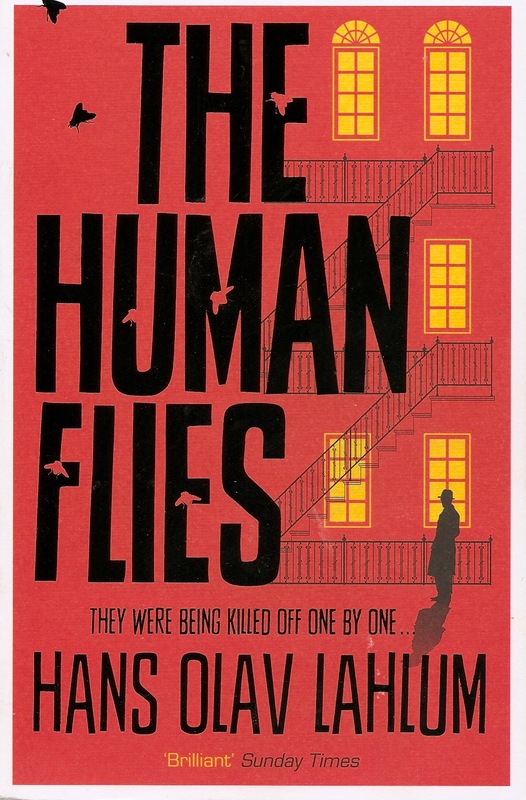 A superb psychological thriller and a debut novel which I literally could not put down as the author racks up the tension towards the conclusion. Pierced: Thomas Enger translator Charlotte Barslund- A disappointing book for me with too many pages, too much switching of perspective, and 119 chapters. I will be reading number three in this series and hoping the choppy style will be smoothed out a bit. The Bridge of Sighs: Olen Steinhauer– A good police procedural set in a fictional post-Second World War Eastern European country that had been “liberated” by the Red Army. Four more books await me in this interesting series. Bones and Silence: Reginald Hill– The 1990 CWA Gold Dagger winning police procedural from one of England’s greatest crime writers. Beast In View: Margaret Millar- This brilliant psychological mystery won the Edgar in 1955, but unfortunately shows its age with outdated attitudes. Nevertheless a great read with a fantastic twist and a glimpse of the past. 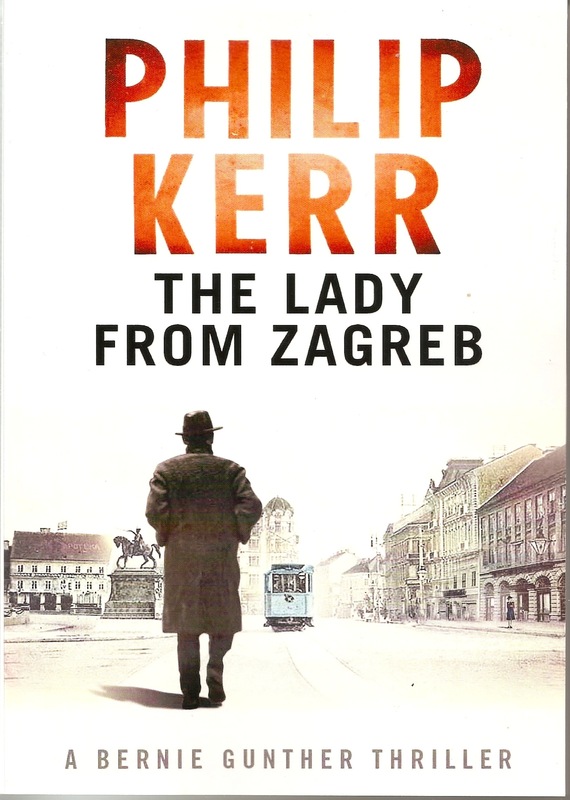 A Man Without Breath: Philip Kerr- [The review to appear on Euro Crime]- Another fine book in the Bernie Gunther series. 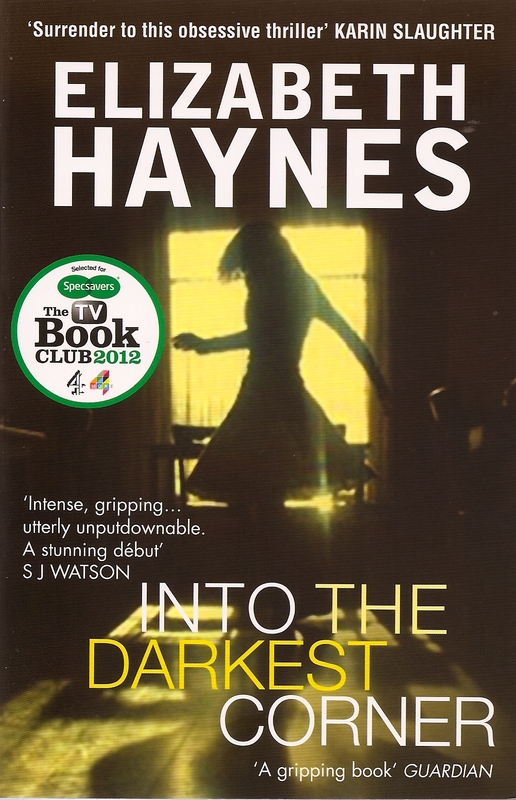 And my pick of the month was another close run thing but Into The Darkest Corner by Elizabeth Haynes was something a bit different from my recent reading and therefore was my February choice. 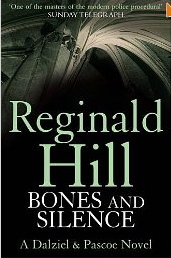 Bones and Silence by Reginald Hill won the CWA Gold Dagger in 1990 and was the 11th book in the Dalziel and Pascoe series. 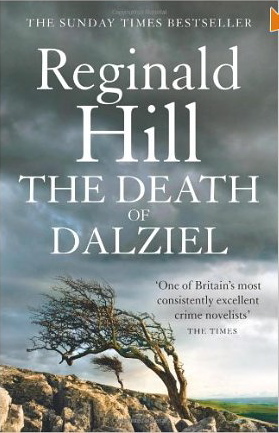 It is the fourth Dalziel and Pascoe book I have read since Reginald Hill death last year. Bones and Silence is 524 pages long but I read it in very quick time because it is full of great characters, humour, red herrings and plot twists. Andy Dalziel witnesses a murder across the street from his back garden, and although he is inebriated at the time he is quite sure of what he saw. The victim’s husband local builder Peter Swain is the culprit, but Swain has a story to tell that explains what Dalziel saw-it was a tragic accident. Meanwhile an anonymous letter writer has confided in Dalziel that she plans to commit suicide, and Peter Pascoe and his wife Ellie have helped rope in the Fat Man to play God in a medieval Mystery Play. The devil is to be played by none other than chief murder suspect Peter Swain. Reginald Hill takes the reader on a series of twists and turns, disappearances, and intrigues involving leggy blondes, drugs, doctors and nurses, and jobbing builders. This is a brilliant read and a reminder of Hill’s superb writing ability and huge talent. I don’t think, despite the long running television series, he received the recognition he deserved. But I should warn those who dropped their books, gasped and were shocked and stunned by Gone Girl’s telegraphed plot twist that this twenty three year old story has has some real surprises. It also has a lot of laughs and in the wonderfully politically incorrect Andy Dalziel, one of the most unique characters in crime fiction. This was the house he’d moved into when he got married and never found time or energy to move out of. On that very kitchen table he’d found his wife’s last letter. It said ‘Your dinner is keeping warm in the oven’. He’d been mildly surprised to discover it was a ham salad. But there are also a wealth of interesting minor characters, and some social commentary that belies the age of the book. But he hung onto the land. A wise move, when you see what has happened since between the village and the town. To this government, a Green Belt is a martial arts qualification for survival in the cabinet. 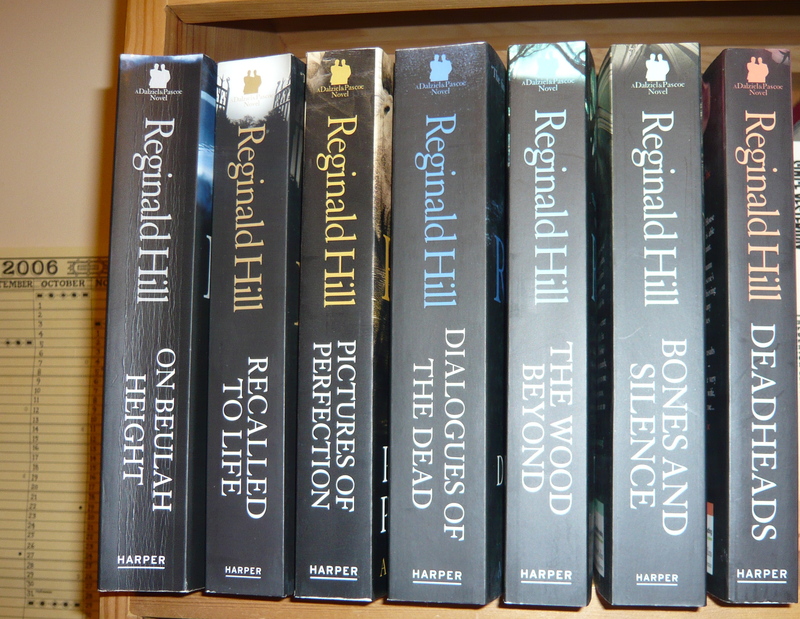 Reginald Hill is one of those writers to whom I return when I want to recharge my enthusiasm for crime fiction.